The best reality show is happening in Benin city live in UNIBEN. 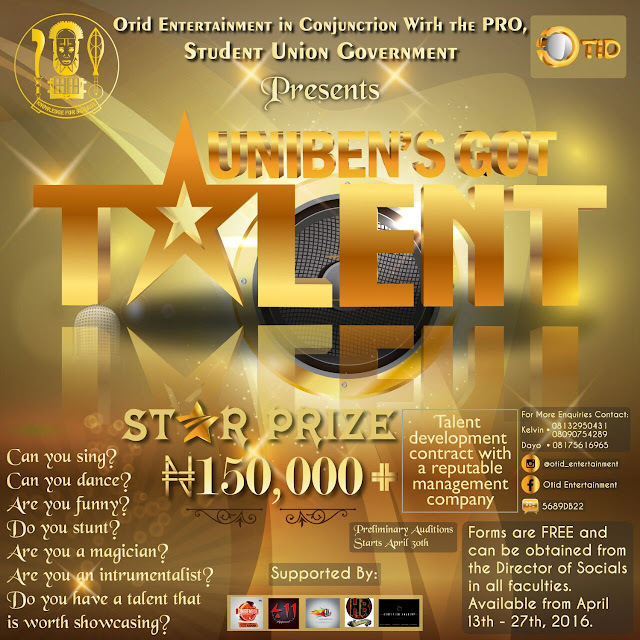 show, UNIBEN GOT TALENT SEASON 1. This reality show promises to be interesting. Do you have a talent that is worth showcasing? Here is a great opportunity to participate in this competition. Winner of this reality show will go home with a cash prize of #150,000 plus a talent development contract with a reputable management company. All you have to do now is to get your forms. Forms are actually FREE. YES, FORM IS FREE. You can obtain form from the Director of Socials in all faculties of UNIBEN. Forms are available from 13th to 27th April 2016. Hurry now. Don't waste time. 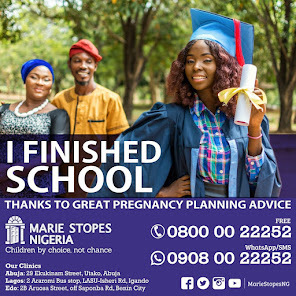 Inform a friend.